Alexandre Lacazette has reportedly been linked with a move away from Arsenal in the summer but here is the real truth about those transfer rumours. Arsenal completed the signing of Alexandre Lacazette in the 2017 Summer transfer window and the Frenchman has been impressive in the two seasons he has been at the Emirates Stadium. There has been many reports claiming that the gunners will be listening to offers for Alexandre Lacazette in the summer because it wants to raise on its transfer budget. Most of the reports are claiming that the source is Football.London yet it was just an assumption by Charles Watts ( journalist of Football.London ) who said that the gunners will surely need to clear the deadwood in the squad at the end of this season. 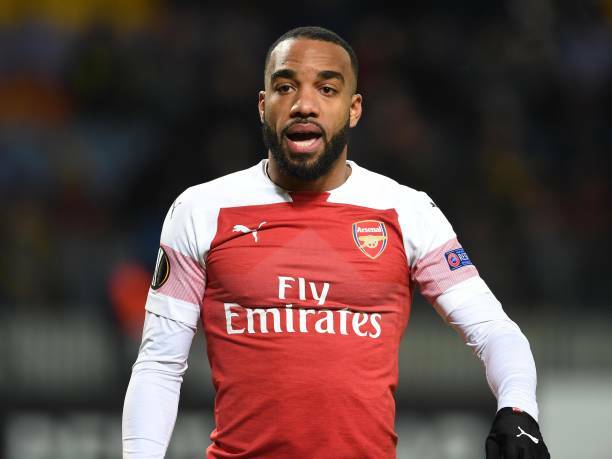 He said that if the funds are still not enough to help Arsenal boss Unai Emery rebuild his squad, then Lacazette is the only player that would get the club a ton of money because he is young and an exceptional striker. So it’s just a possibility and not a report that confirms that Arsenal will be open to selling Alexandre Lacazette in the summer transfer window. Arsenal will definitely sell many players in the summer transfer window but it won’t easily let go of the Frenchman because he has been one of their best players this season as per the statistics. The gunners are lucky to have both Lacazette and Aubameyang in their squad this season because these two have scored over 20 goals for them, so it would be a poor decision to let one of them go. Besides, Alexandre Lacazette is certainly enjoying life at the Emirates Stadium this season because he has formed a great friendship/bromance with his striking partner Aubameyang so it would be a big surprise if he decided to end all ties with Arsenal in the summer.